Mason’s Marchers at the 2018 Take Steps Walk. JUNE 21, 2018, SWAMPSCOTT – Not many sixth-graders can say they’ve spoken to a crowd of thousands of people on Boston Common, received a personal video from a former Patriots player, or raised over $25,000. Mason Wetmore of Swampscott can. It’s all come as part of his work with the New England chapter of the Crohn’s & Colitis Foundation, which named him as the Pediatric Honored Hero last year. Two years ago, Mason began experiencing sudden weight loss. He had no appetite, bad stomach aches, and always felt like he wanted to lie down. After a series of painful procedures, he was diagnosed with Crohn’s disease, a chronic inflammatory condition of the gastrointestinal tract for which there is no known cure. “When the doctor said ‘disease,’ that’s all Mason heard, and it freaked him out, because he didn’t know what that meant,” said his mother, Jill Simmons Wetmore. At just 10 years old, Mason learned he would have a condition that could last his whole life and require many sacrifices. He couldn’t eat many of his favorite foods because he had to follow a restrictive diet. Most importantly, he felt alone, as though none of his friends understood what he was going through. And so he decided to take action. 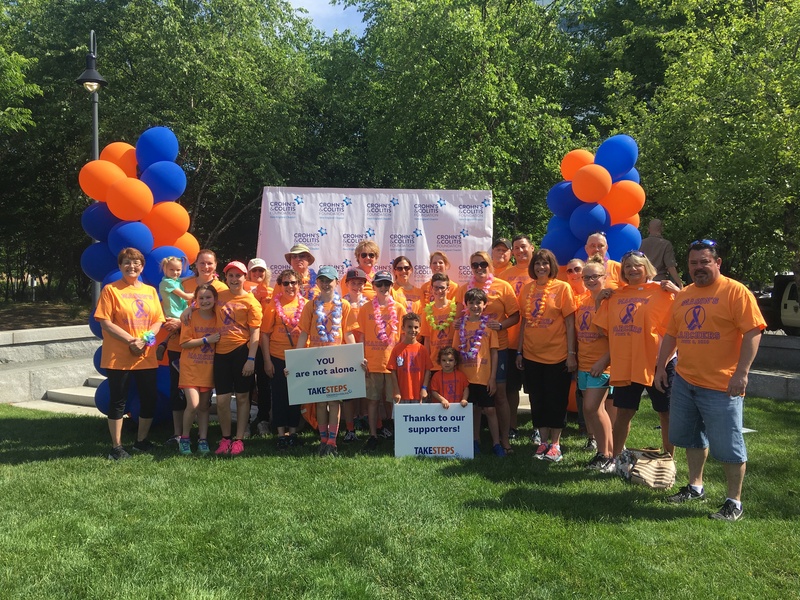 Just two months after his diagnosis, he formed Mason’s Marchers, a group of friends and family who walked in the Crohn’s & Colitis Foundation’s Boston Take Steps Walk. Marchers included his grandparents Steve and Judi Simmons of Swampscott, the former directors of Camp Menorah. The first year, the group raised $3,200. The following year – 2017 – 40 people marched to raise over $10,000. Mason was honored as the Pediatric Honored Hero, and told his story to thousands of people gathered at Boston Common. On June 9 of this year, Mason and 34 other people walked again and raised an additional $12,000. He also helped organize a fundraiser in April at the Point of Pines Yacht Club in Revere. Local businesses donated 100 items for a silent auction, and over 160 people attended. Jill, who organizes the SMARTY youth group at Temple Emanu-El, added that she hopes Mason will be able to raise more money for CCF as part of a service project for his upcoming bar mitzvah. He’s also been able to meet and befriend other kids his age with Crohn’s, and learned there are fellow students as well as teachers at Swampscott Middle School that have the disease. Mason we are very proud of you. You are amazing. With all your hard it will pay off and they will find a cure.